1. 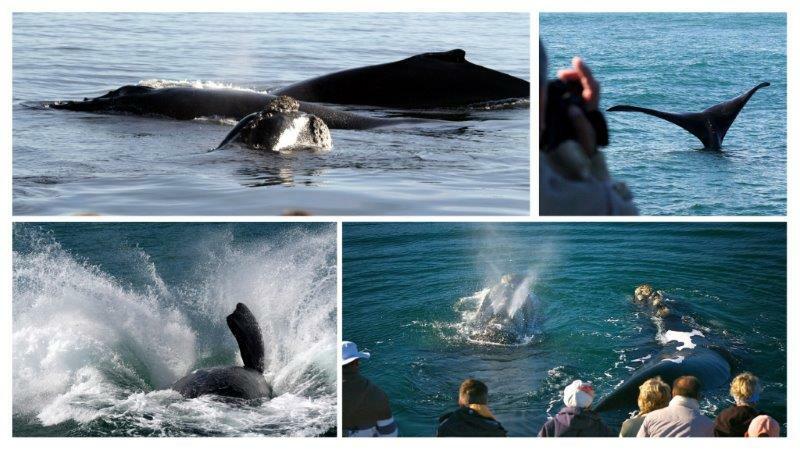 What other sorts of whales may you encounter on a typical trip, or can we only see the Southern Right whale? We mostly encounter southern right whales. But your whale watching trip can often extend into a marine safari. We can often encounter the humpback & Bryde’s whales, seals, dolphins and a variety of marine birds including the African penguin. 2. Is it easy (for you) to distinguish between the different types of whales? Yes, and by the end of the trip it should be easy for you too, as each of the whales we have the possibility of spotting has their own clear characteristics, our whale specialist guide has been watching whales for more than a decade and is only too eager to impart his knowledge onto you. The tour starts with an on-land briefing about the whales and during the trip, the guide will keep you informed via our PA system of all sightings and behaviour ensuring your experience is informative and educational. 3. How far is Hermanus from Cape Town? Is there public transport? Hermanus is roughly 1h30 drive from Cape Town, making it perfectly located for a whale watching day trip or better yet, as there is lots to do, a 2 night stay. There are two routes, the highway with mountain passes, vineyards and forests or the R44 Coastal route which has been praised as one of the best scenic drives in South Africa. Unfortunately, there are no scheduled public buses or trains to Hermanus. If you are not self-driving and require transport please do contact us and we can book this for you, see our Cape Town Shuttle & Private Transfer prices for 2015. 4. Will we see sharks? This would be a rare sighting, the great white shark hub is in Kleinbaai, and this is where the world famous Shark Alley is located. There are a number of operators that are licensed Shark Diving & Viewing companies. All of these companies offer Shark cage diving as well as surface viewing. Both the Shark cage diving and whale watching operations are highly regulated by local authorities and operate on separate permits, each animal needs a separate viewing permit, respectively. 5. What can we do in the area if the boat based whale trip is cancelled? Hermanus is the ‘playground’ of the Western Cape. Escape to Nature! This once small coastal fishing village has advanced as the Eco-tourism hot spot in South Africa. 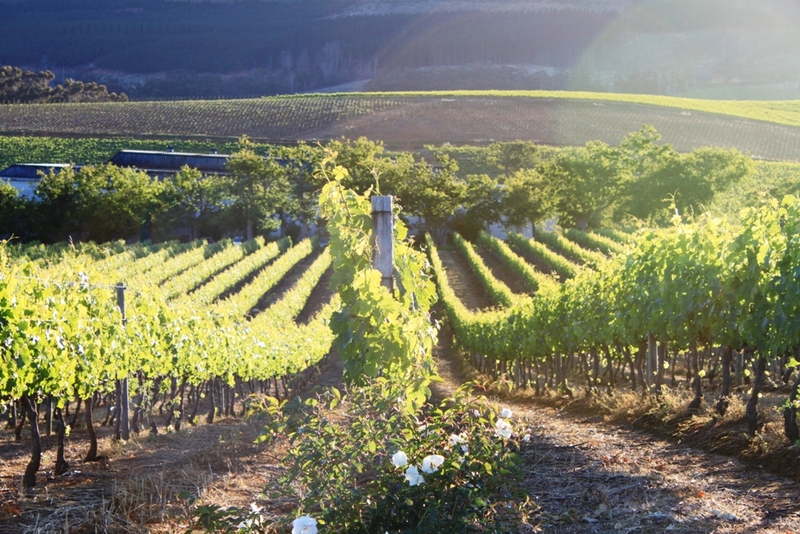 Visit our acclaimed R320 Wine Route, enjoy sipping on the finest Pinot Noir and experience the finest wine and food pairing at many of these award winning wineries. Still looking for your whale fix! Book a Whale Walking tour that includes a visit to the small but informative, modern Whale Museum. If you looking for a more relaxed version of Whale watching many restaurants have a warm fireplace and pristine views over the bay- Just take your Binoculars! Book a guided tour or self drive the scenic routes of the Cape Whale Coast and visit the African Penguin Colony or head to the Big cat sanctuary just outside Standford . Feeling active? Escape to the forest for Zip-lining & Quad Biking or hike the circular path at Fernkloof nature reserve, not only will the views impress you but Fynbos will surround you. With world renowned golf courses and more than 100 adventure activities, we would recommend for you to extend your day tour to a 2 night stay! This will also come in handy if your whale watching trip is cancelled due to weather then you have the following day as an option to re-book, see: Frequently Asked Questions for more whale watching booking information.